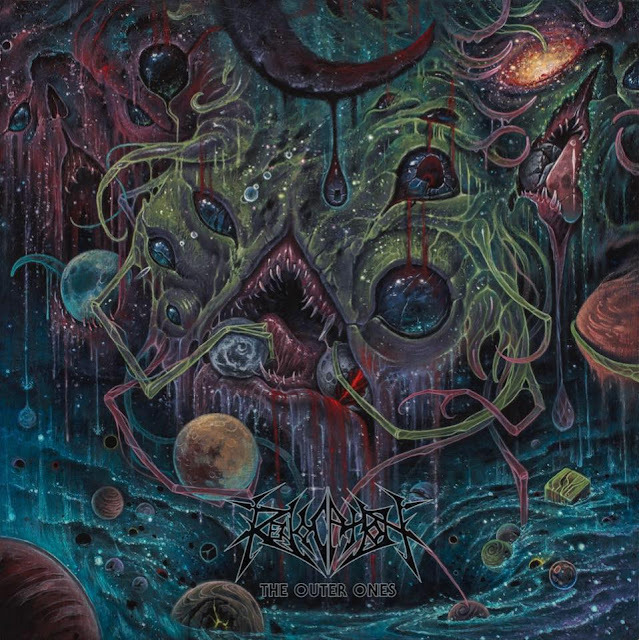 American extreme metallers, Revocation, recently released their punishing new album, "The Outer Ones," via Metal Blade Records. Its cover artwork was crafted by UK-based artist Tom Strom. Exclusively for And Justice For Art, Strom explains that guitarist/vocalist Dave Davidson "had approached me on this cover as we have worked on the last two covers together as well. 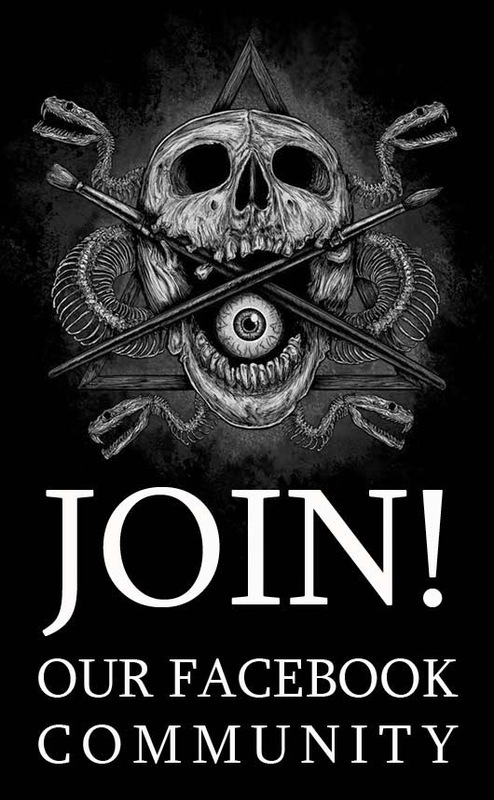 We had discussed it a bit before and he was already working with the notions of it being very Lovecraftian based. This time around, Dave wanted something cosmically oriented and very complex. The main image was to be a tribunal of sorts with three chaotic beings overlooking a cosmic centerpiece. It had to be amorphous, dripping with planets, stars and burnt out stars from a vaporous mouth. These deities consume everything in the cosmos even as they are being created."